Paid or free, Apple or Android, these are the best! Photo editing should come easy on our phones and tablets because, after all, that's what most of us use to take pictures every day. There are tons of image editors for iPhones and Androids alike, most with similar features but some with very unique capabilities. If you want to make a picture black and white or crop out the edges, you can probably stick with the default photo editor built-in to your phone. However, sometimes you need or want to do more, like overlay one image on top of another, apply unique filters, make certain colors pop out, add stickers or text, choose from dozens of picture frames, etc. Some image editor apps are not free but most are, and even the paid ones usually have a free, feature or time restricted lite version. Whether you're looking for an Android photo editor or one for you iPhone or iPad, you can find all the best editors in this list. One great photo editor app is Pixlr. It’s free and has minimal ads, works on Android and iOS, and has a lot of cool features. One feature that stands out is that with each edit, you can press your finger down on a “before” button to see what the image looked like just before you applied that effect, which is great for deciding if you should commit to it or not. 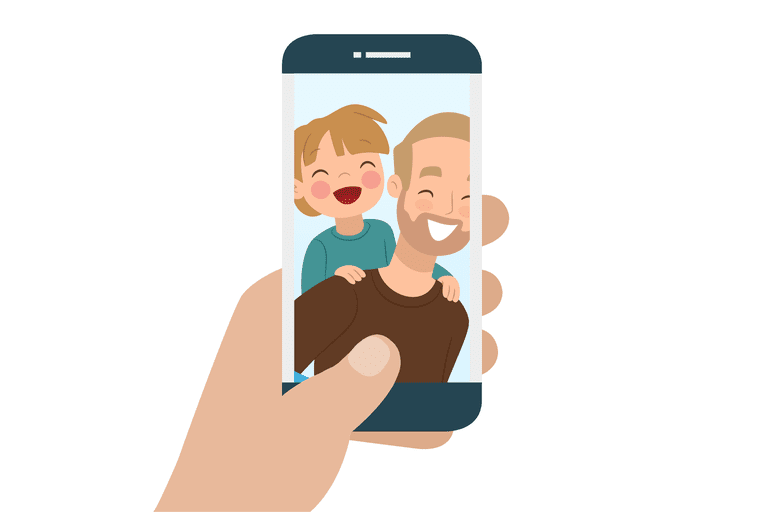 You can share your edited image on social media as well as save it back to your phone or tablet in various sizes like small, medium, max, or a custom size. Some of the tools included in this free photo editor app include the standard ones like crop and rotate, but it also has an autofix, adjustment, blur, splash, smooth, sharpen, red eye, double exposure, and spot healing brush tool. Pixlr has a set of brush tools you can use to paint various things on the image. There’s one for brightness, darken, and pixelate. They’re extremely useful versus an image-wide option because instead of darkening the whole image, for example, you can apply darkened spots to specific problem areas. There’s also a regular doodle tool. We really love the one-tap effect and styles you can apply to pictures with Pixlr. You can pick from options like a pencil, sketch, poster, cross, watercolor, polly, and other styles. There are lots and lots of effects, too, in categories like atomic, creative, unicolor, vintage, too old, subtle, and soft. In the same area of the app are overlays so that you can quickly drop a burn effect right over the picture, or an effect like bubble, glitter, glaze, metal, etc. What makes Pixlr vastly different than some photo editor apps is that you get to really customize the level that an effect can take on your photo. For example, if you pick a glaze overlay to apply to your image, you can use the scroll bar to lessen how much of the effect is actually seen once applied, or the eraser tool to remove the effect on only parts of the image. You can do this to multiple effects, overlays, and styles to really personalize it how you wish. The Pixlr app also has lots of borders and stickers that, again, are just one tap away. The text tool lets you change the font type to one of several options and can be any color you want. The opacity can be adjusted for all of those things as well. This app does show ads sometimes, like when you’re about to save your picture, but they’re not intrusive at all. There’s a good chance you’ll glance right over them. Probably the biggest issue with this photo editor is that when you're choosing how much of an effect to apply, by sliding the scroll wheel left or right, you can't see how the effect looks until you lift your finger. Most other apps show the result in real time but, unfortunately, Pixlr does not. Snapseed is a free photo editor app from Google. It’s really simple at first glance but does include quite a bit of editing tools. It works for iPad, iPhone, and Android devices. Another big feature not found in most photo editor apps is the View edits option in Snapseed. This lets you view a list of all the edits you’ve made since the beginning, and lets you jump back to a specific point in one tap. It's like the version history you might be used to in your online documents but with image edits. This definitely beats hitting an undo button a dozen times, and you can even save the picture and reopen it later to undo changes. The Enlight photo editor is pretty amazing. You can think of it like the Photoshop of image editors, but for your iPhone or iPad (it’s actually better than the mobile Photoshop app in our opinion). It has all those normal editing tools you hope to have in an app but is also really useful for putting creative spins on your images. Enlight can flip, rotate, skew, and straighten images. A similar feature that makes this app stand out from others, especially free ones, is its Refit tool. Select the parts of the image that should remain in the photo, and if the background is simple enough, refitting will move those parts together to crop the photo without affecting those objects. It's very neat! Enlight is also known for its filters, separated into categories like Analog, BW, and Duo. Pick a category, choose a filter, and use your finger or stylus to control how strong the preset should appear on your image, by swiping to the left or the right. The Duo section is particularly interesting because it lets you tint the image with a blend of two colors, with custom overlap options. One more thing worth noting about the Enlight photo editor app is the Mixer tool that lets you create a double exposure effect to combine two images together, forming a hybrid photo like you see in the image above. It’s a bit like Union and similar apps but better since you can edit in Enlight and stay there for double exposure, too. The same creators of this app, Lightricks, have a free app called Enlight Photofox, but it has different features. PhotoGrid is a different kind of photo editor app. Instead of providing just editing tools, you can use it to make a photo or video collage, scrapbook, GIF or still meme, slideshow, poster, filmstrip, and more. This free image editor app also works as an augmented reality camera, letting you overlay stickers and hats and other things directly onto your face in real time. Plus, you can follow other PhotoGrid users and keep tabs on what they post in the Feeds section of your app. PhotoGrid is on an entirely different level than the other image editors in this list. While it does have normal editing capabilities, it doesn't seem built for that, and honestly that's probably not why most people use this app. On the main screen of the app are all your options. You can pick any of these: Grid, Edit, WowCam, Video, Retouch, Big Head, Scrapbook, Meme, Slide Show, Filmstrip, Poster, Pattern Venus Filter, Twinkle, and Instant Share. These tools let you do things like combine videos and images into collages, take videos or image selfies with live stickers, build GIF memes, make new wallpapers for your phone, build stylish posters, make your head look like a balloon, and, of course, typical editing where you can add text, draw on the image, crop or rotate the photo, adjust skin tone, blur, and add a border. This app clearly has a lot built-in to it, but at the same time it lets you customize a lot of what you do. For example, when making a collage with PhotoGrid you can adjust each individual image in its frame and combine other tools to round the edges, add text, import stickers, apply filters, and more. Sometimes, you can even adjust the intensity or opacity of a tool. If you want more out of this app, you can watch ads to get something for free, otherwise you can pay (usually around $1) to get things like more poster templates, backgrounds, stickers, etc. PicsArt Photo Studio & Collage is different from these other photo editors in a number of ways, but the most notable is that when you're editing a portrait, there are various tools that can automatically recognize where the person is located and isolate it from the rest of the picture to make editing a lot easier than manually tracing out the background. Some photo editors let you adjust the strength of some of the tools, like filters, so that only part of it bleeds through to the photo. While this isn't possible with the PicsArt app, it does have an eraser tool that can remove a filter for select areas of the photo, plus an even more impressive button that will identify a face/body and immediately remove the filter from that area. Tons of other advanced editing tools are included, too, like a crop, dispersion, clone, stretch, motion, perspective, curves, and shape crop tool. Images can be shared with friends through the app via Remix Chat. Plus, every user has a profile page friends can visit to see what they've been sharing with the community. You can take part in what the app calls Challenges to remix certain images and possibly win prizes. For example, one might be a picture of a woman with a bare arm where you have to apply a tattoo. In addition to all the stickers made by other members that you can freely use as often as you like, there are also free images accessible from inside the app.